Summer is finally here and there is nothing better than getting together with friends and family and enjoying a nice picnic in the park or hosting a lovely dinner party. The question which always comes to mind is what shall we pack;serve;eat? A healthy dessert should definitely be on this list! 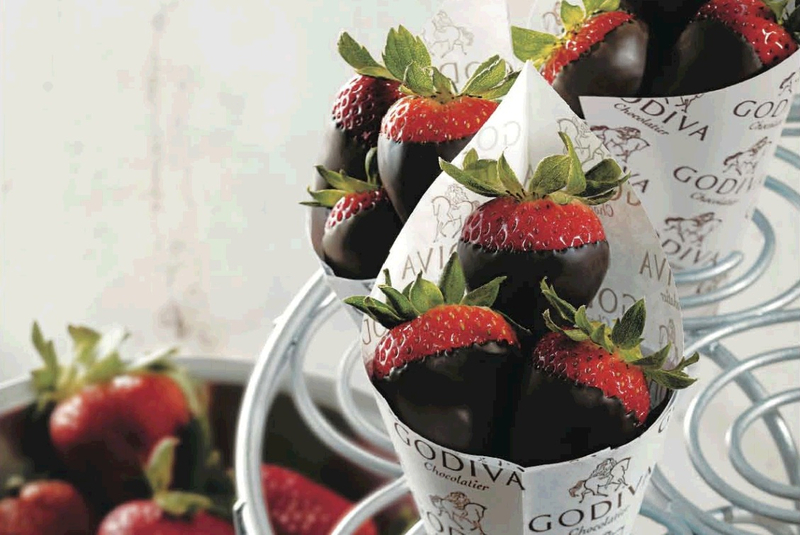 Godiva’s delicious chocolate dipped strawberries might be suitable for either occasion. 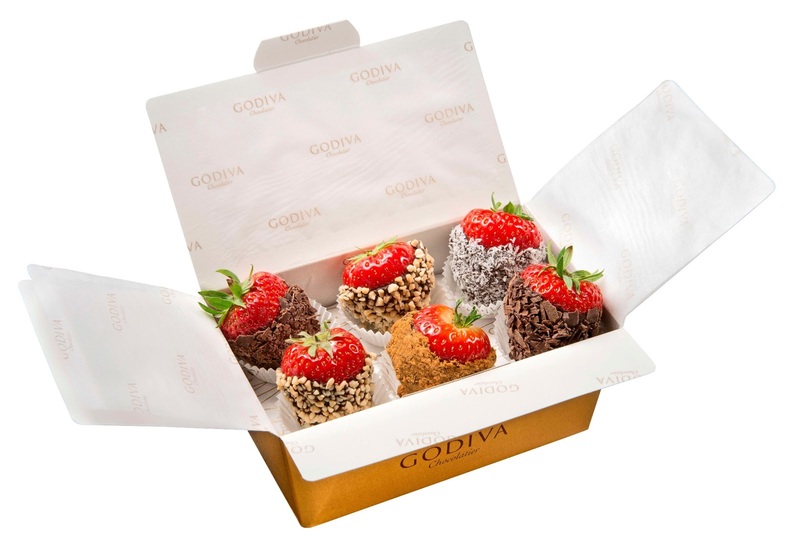 The strawberries, picked at the peak of ripeness, are coated with a delicious layer of dark fondant chocolate (Perles de choc noir 72%) and handmade by Godiva Chocolatiers in store, in front of customer’s eyes and are available in store. 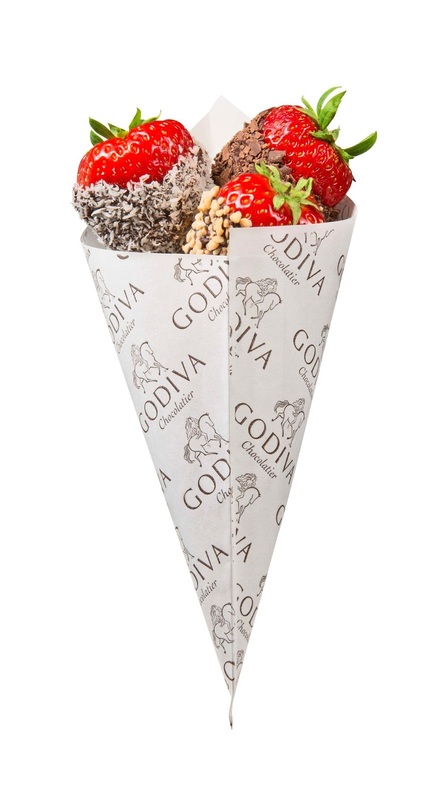 If you wish to add an extra level of indulgence to the perfect dipped strawberry, Godiva offers four additional special toppings that can be used to coat the chocolate: fresh coconut shavings, chocolate flakes, honey roasted almond pieces or speculoos, the famous Belgium biscuit to add to the already decadent chocolate covered strawberry. 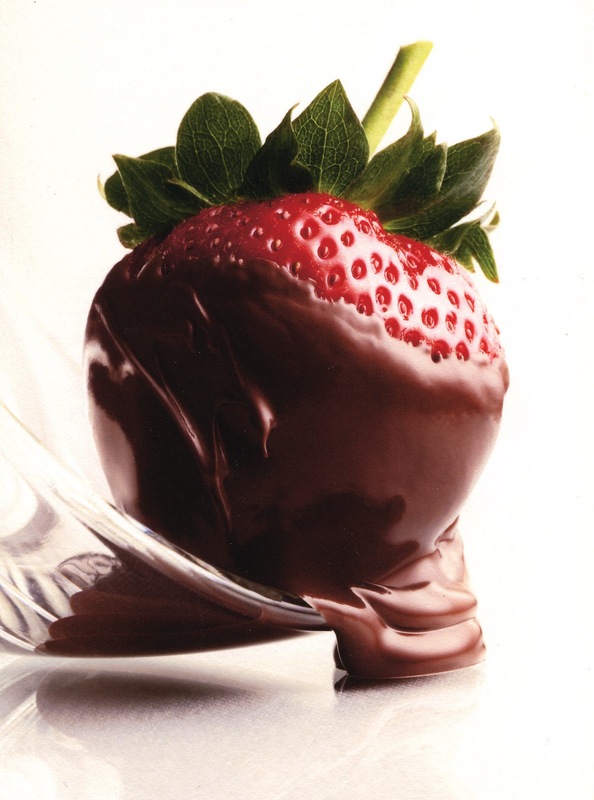 Pre-order your chocolate covered strawberries at least 24 hours in advance. Feel free to mix and match chocolates in each gift box (six strawberries per box) — choose from milk dark or white chocolate. Available exclusively at GODIVA boutiques and online. Find your nearest GODIVA BOUTIQUES USA / GODIVA UK.